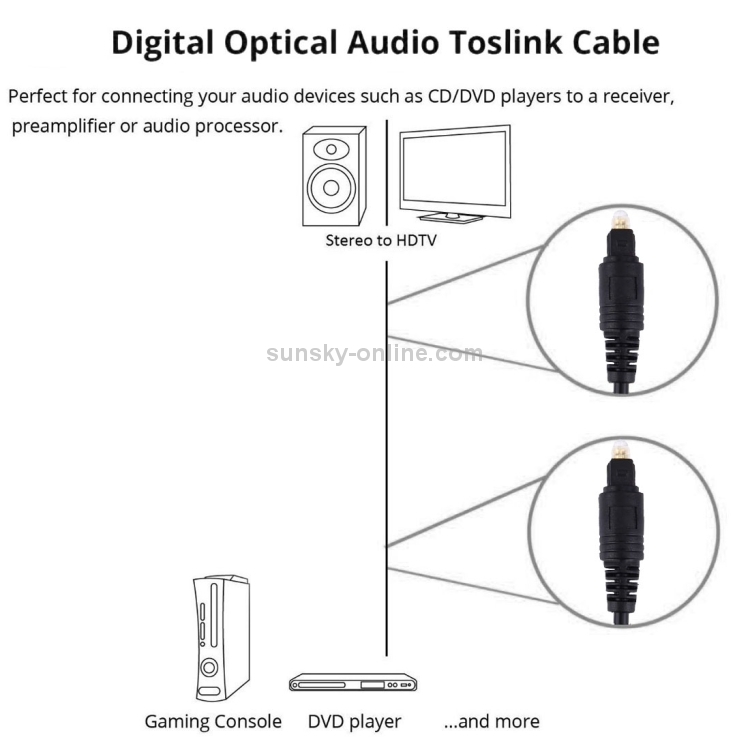 2) Toslink Digital Audio Cable provides you the cleanest possible signal, even at extreme volume levels. 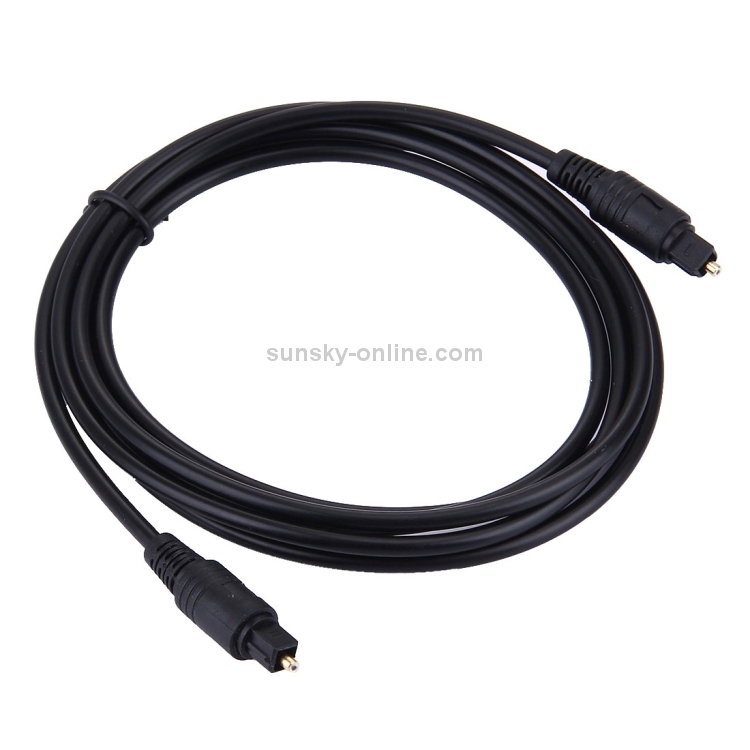 3) Optical cables transfer the signal using light; thus completely eliminating any chance for RFI, EMI or ground loop interference. 4) Gold Plated ferule prevents corrosion and provides for maximum protection of the fiber tip. 5) Precision Polished fiber tips for maximum signal transfer (includes tip protectors). 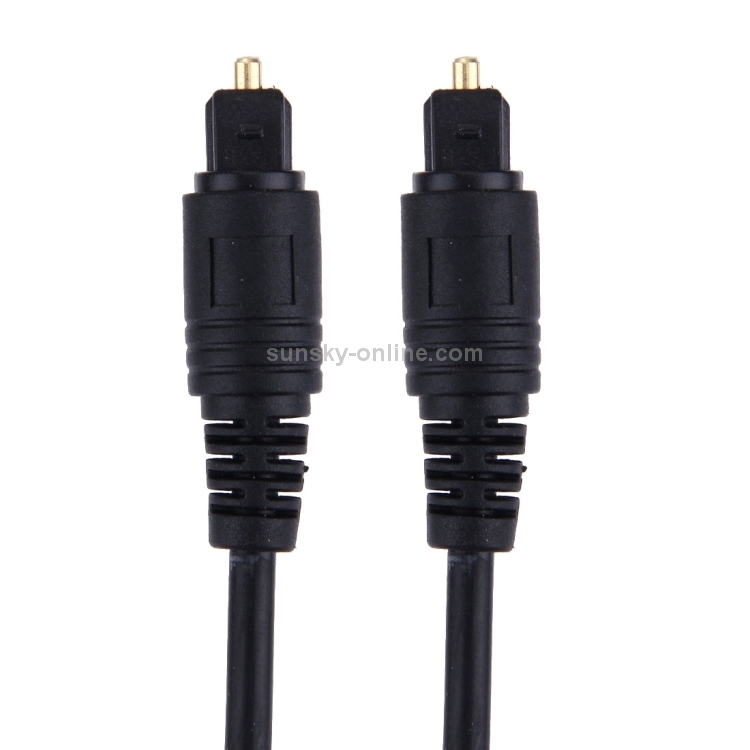 6) Connect to your DVD, CD, Mini Disc, DAT other digital audio equipment for clear, full and richly detailed sound. 8) Designed for CD, D/A Converters, Dolby Digital DTS Surround sound receivers, DVD, MiniDisk players and recorders, Pro Audio cards, etc.